Garmin PRO Receiver Li-ion Replacement Battery. $29.95. Excellent replacement and followed well written instructions without any problems. As always, great service from Gun Dog Supply. You need a "N/A" star! I couldn't remove the casing or the old battery. 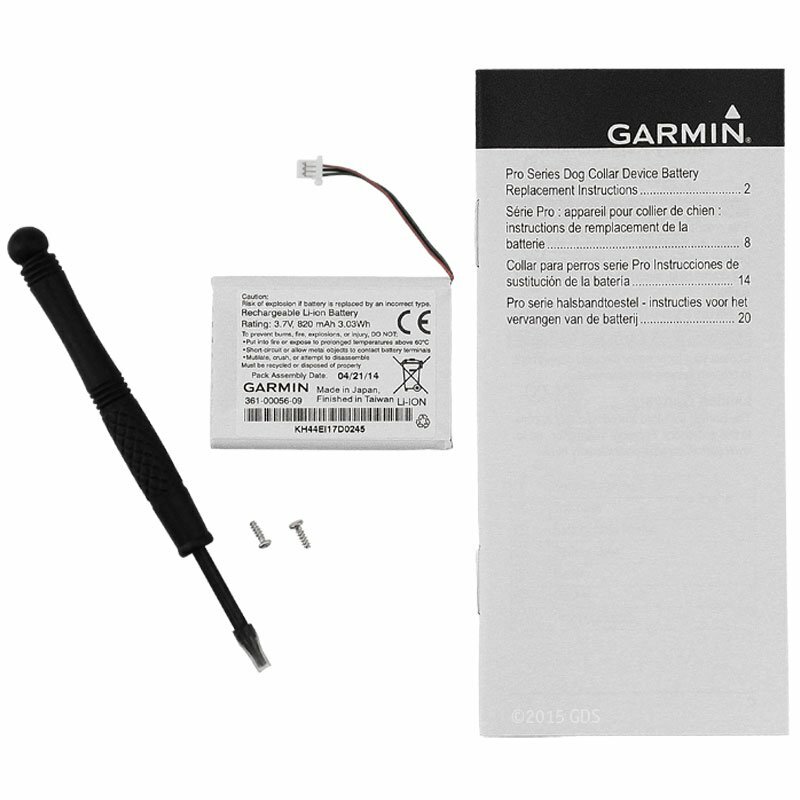 Garmin stood by their product and replaced the collar as a result. So I haven't used the new battery yet. Would still buy the product again if needed. Bring along this extra Lithium-ion battery for extended training sessions with your PRO Series dog devices. This long-lasting rechargeable battery lasts about 60 hours per charge for the Sport PRO (PT6), PRO 70 and PRO 550 (PT10), and about 40 hours per charge for the PRO Trashbreaker (TB10). Includes battery, star bit screwdriver, 2 Phillips head screws, and instructions. NOTE: Requires a small standard Phillips head screwdriver to remove the battery plate (not included).